Long before I ever had the privilege of meeting Patrick, I had a kind of prophetic dream. 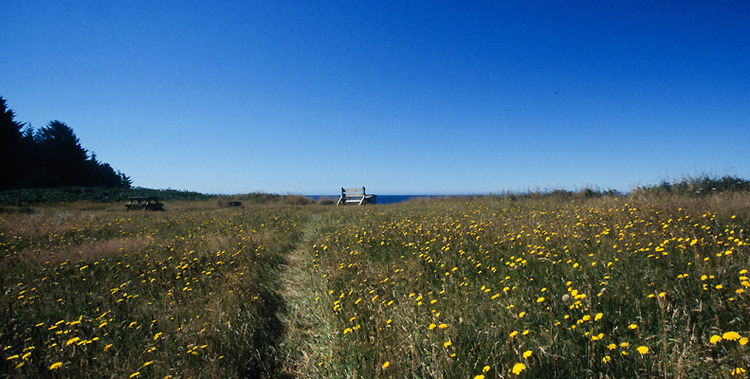 I was sitting on a bench, on a grassy bluff overlooking a dramatic sea. The horizon was billowing with foreboding storm clouds; the wind was rushing up the cliff and over my face, huge white caps cresting out on the water. I suddenly became aware of an old man with a full grey beard sitting beside me. I looked up and realized it was Patrick. He turned to me and said, "I think it's time we had that chat." A few years later, in 1990, I actually became acquainted with the man. At that time, I was working as a researcher at KCET-TV in Los Angeles where one of my colleagues was producing a documentary about ‘Big Brother In The Workplace.’ I suggested he might open the program with a clip from McGoohan's television series The Prisoner, where the character Number Six is under surveillance, to illustrate how an iconic work of fiction had actually foretold a modern day reality. Well, Patrick was in good mood and of an open mind. He said, “Send me something in writing and I’ll respond.” I guess he liked the letter I wrote, in which I drew a vague analogy between some of the themes in The Prisoner and Marxism. I was elated when he called me at work and suggested we meet. How ‘bout that? A childhood hero turned professional acquaintance! I will never forget sitting across from him at an Italian restaurant on the Promenade in Santa Monica, California. I was smoking a pipe in those days and when I produced it from my jacket pocket, McGoohan admonished, “You’d better put that thing away, or they’ll call the fire brigade.” We talked about politics, writing, directing, and my own career. He even talked a little about The Prisoner and the sequel he was writing, The Oasis. We spoke for nearly three hours and he asked a lot of questions. I felt like I was being interviewed, if not interrogated, and I ended up smoking half a dozen of his cigarettes. As we walked back to our cars, Patrick asked if I thought I’d ever have any real money, and - as I had already confessed to being a bachelor - if I thought I’d ever get married. I answered optimistically to the first and shrugged off the latter. The valet pulled up in his silver BMW and Patrick offered that he and his wife had been married for forty years. “And do you know why it works? Because we don’t agree on a thing!” What a strange, endearing thing to say, I thought. We seemed to have developed a genuine rapport and spoke several times over the next few months. Still, I've never felt comfortable using the word "friendship” to describe the relationship. I just didn’t know the man that well. Indeed, a few months later, he abruptly dropped off the radar without a word. I didn’t hear from Patrick for almost a year. I was delighted to see him out and about and quite well, when we ran into each other again on the Promenade. It’s a funny memory. It had been several years since we first met. I had moved a few rungs up the ladder of my career and had also taken up competitive mountain biking. Well heeled, clean-shaven and in exceptional condition, I walked into the Broadway Bar & Grill to meet a girlfriend for lunch. She was running late, so I sat down to wait for her at the deep red wooden bar, which had columns every few seats that extended up to the ceiling. I sat on one side of a column, and on the other sat an older fellow sporting a weathered, Stingy brimmed straw hat, large, rose tinted sunglasses and a thick grayish-white beard. I dismissed him as kind of odd looking. As we headed to our table, I turned to the man at the bar. The surprised look on his face was priceless. “Oh, my god!” he exclaimed as he looked me up and down. “You’re a changed man!” His eyes stopped at my $200 Italian dress shoes. “In many ways,” he added. I think just about everybody in the place heard us all bellow. When I called a couple of weeks later, to see what he thought of the treatment I had sent over, Patrick was incredulous. “This is a proposal!” he protested. “Where’s the script?” he demanded. In December of 2004, as I was leaving Los Angeles for the Pacific Northwest, Patrick’s was one of the last calls I received before the phone was disconnected. Funny, Joan McGoohan and I had talked just a couple of days prior and I imagined he had called at her behest. Truth be told, I have proclaimed more than once, “those of us who care about Patrick, love Joan McGoohan.” To me, she epitomizes grace, patience and generosity. I think Joan is actually some kind of saint. “So, you’re packing it up?” he said. “You’re heading in the right direction!” I’d never heard him sound so upbeat and encouraging. The lilt in his voice was cheerful and affectionate. We were on the phone for almost half an hour. Ultimately, I think I wore the poor guy down — with reverent persistence and unflagging affection — into adopting the role of an elder friend and mentor. I feel honored. Still, I regret that I never got past that feeling of reverence. Otherwise, we might have become real friends. Well, I guess you never know just how much you care about someone until they’re gone. I cried upon hearing that Patrick had passed away. We had talked just a few months before, shortly after his 80th birthday. I still feel empty and lonely and I lament that I will never get to hear that lyrical voice again. Yet, as I celebrate the man’s great spirit, I can still hear his voice from memory. The wonderful inflection, the probing honesty, asking me, “If you don’t write it, whooo willl?” His words still resonate: I am now digging through my notes and finally writing the pilot for Divisadero Street. 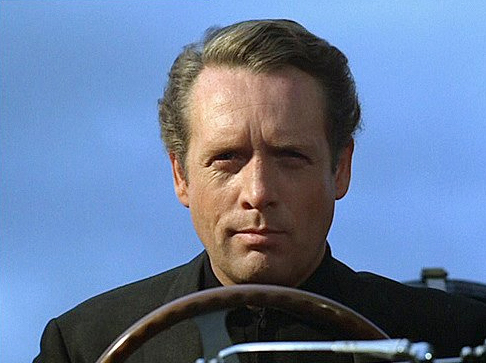 Maybe I tend to idealize a bit, but Patrick McGoohan remains my number one hero, and he will always be an inspiration for me to try and do meaningful, important things with my life. I took this photograph at Friendly Cove, at the mouth of Nootka Sound on the Northwest coast of Vancouver Island. The area is considered the birthplace of British Columbia, where Captain Cook set anchor in 1778 for repairs. As I surveyed a tranquil yet strangely familiar scene, I thought, "this would be a good place to go, when I die." I like to think that we do go somewhere after this life, and that if I'm lucky, Patrick might come walking up the path one day... and we can have that chat. Submitted by Rob Levine on Thu, 2009-12-10 11:08. Submitted by Tony Genovese on Mon, 2013-03-18 20:06. Submitted by Joan McGoohan on Thu, 2009-12-10 10:49. Submitted by Carola Becker on Mon, 2010-07-19 12:52. Submitted by John Last on Sun, 2010-10-24 00:13. As an English schoolboy of the early 60's, the evening television slot with 'John Drake' (our DANGER MAN and your SECRET AGENT) was a must. Despite studio-bound settings, black-and-white film production and a 'boys own' storyline, Patrick McGoohan engaged beyond the John Drake persona. Even to this day, on viewing the episodes of DANGER MAN, you get that same overriding sense of integrity which Mr McGoohan made his own. I feel quite sure that beyond the confines of the studio and rather extraordinary world of make-believe - Patrick was a very special person. Submitted by John C. Drew, Ph.D. on Sat, 2013-08-03 11:13. In real life, I suspect that McGoohan was a very intimidating person and you seem to capture this aspect of his personality effectively in your article. On a day like today, I'm grateful to learn that McGoohan also had a soft and nurturing affection for a young producer - with or without a script. Submitted by Glenn Knowles on Mon, 2010-12-20 08:59. 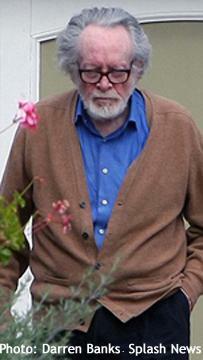 There are many who desire to be further inspired by Patrick McGoohan. I share the hope that his writings will be published. It would be a wonderful thing, for example, if his poetry were made available, and imagine the delight of a performance of something of his for the stage. it seems there may be a chance that you could have an influence on that prospect. Submitted by Caroline Hammond on Fri, 2011-05-06 10:04. What a moving and lovely tribute to a man who inspired so many of us. I am filled with envy for your friendship, even if you consider it too reverential. "Young man, don't knock yourself out." What a fantastic experience though to meet your hero and find they are everything you expected and more. From your eloquent writing I really felt I was sitting on those bar stools besides the two of you. Write what you know and from the heart, I say. Thank you for writing this. Submitted by Michelle Chevallier on Wed, 2013-07-03 11:17. It is hard to describe this without sounding like just another fan. Sometimes I find my young age a curse because I wasn't around when shows like "The Prisoner" were originally broadcast, and because the creators are no longer with us. I feel robbed of a chance to ask questions and to really gain some insight. That's the hard part about the internet, in that there are only articles written by third parties with mere opinions or just a sterile listing of facts. Submitted by Karen Marshal on Wed, 2017-03-15 11:07. I was born into a very poor family and I got to "see" the world through the "Danger Man" tv shows...or at least what looked like the world to a 9-year-old girl. When I heard there was going to be a new tv show called "The Prisoner" with Patrick McGoohan, I was almost beside myself that I would get to see him again. In reading about Mr McGoohan, it becomes apparent that he was a unique person, intellectual, private, moral and hard working. It sounds as if he drove himself to be busy at all times. I have seen articles where he would end an interview if anyone asked anything that he considered too private, yet he would tell stories about his childhood and his sisters that were hilarious and endearing. He never failed to give honor and respect to his wife and children, and to his parents. Thanks for sharing your memories. I hope that we will all be seeing each other someday!